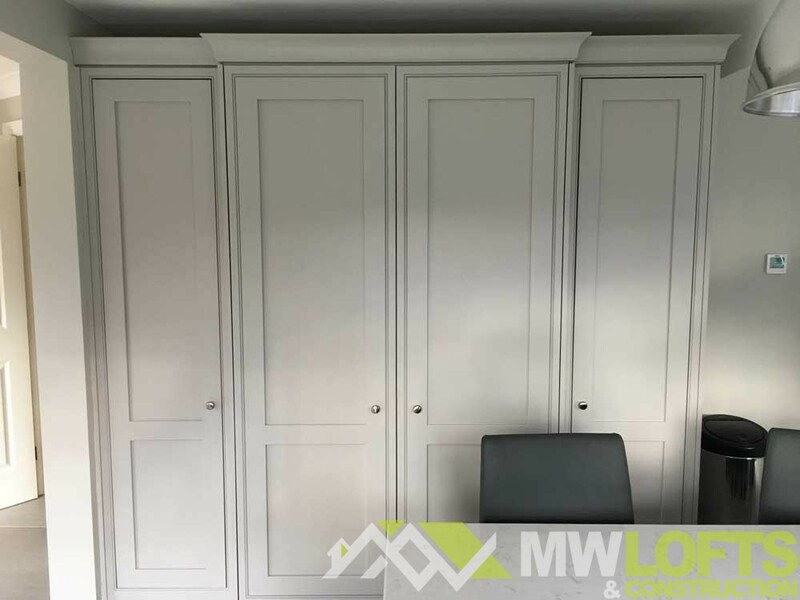 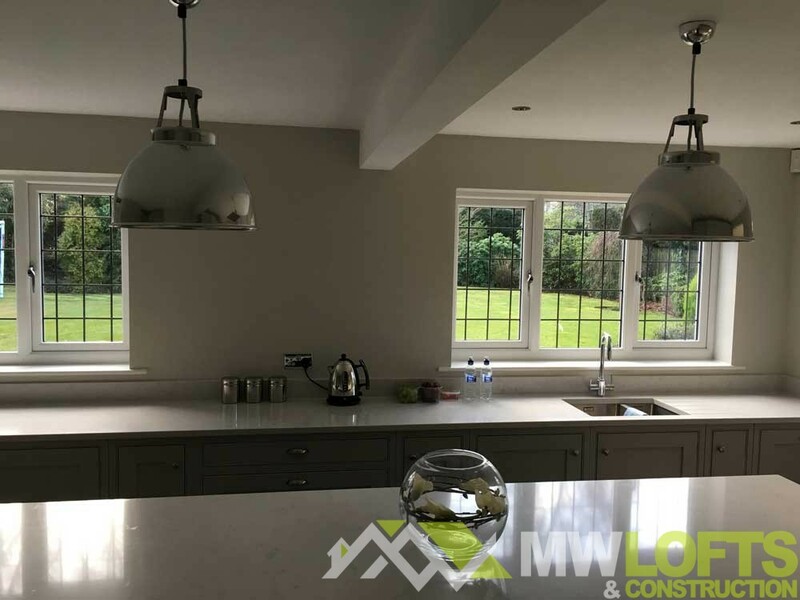 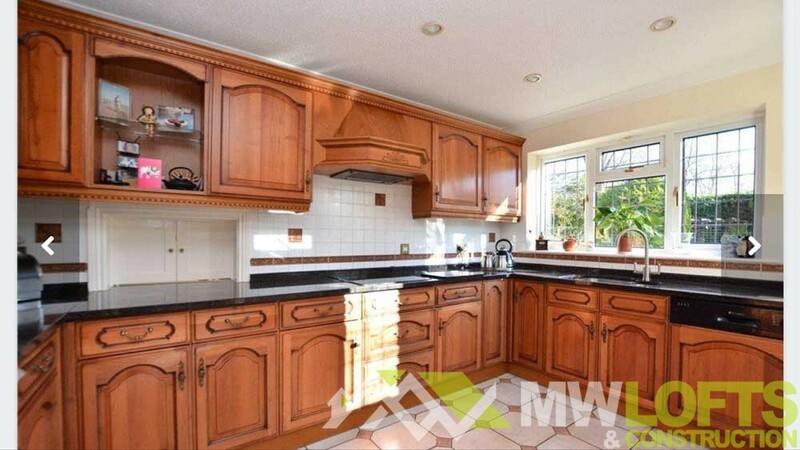 Here is a recent kitchen and dining room knock through job in Scarcroft. 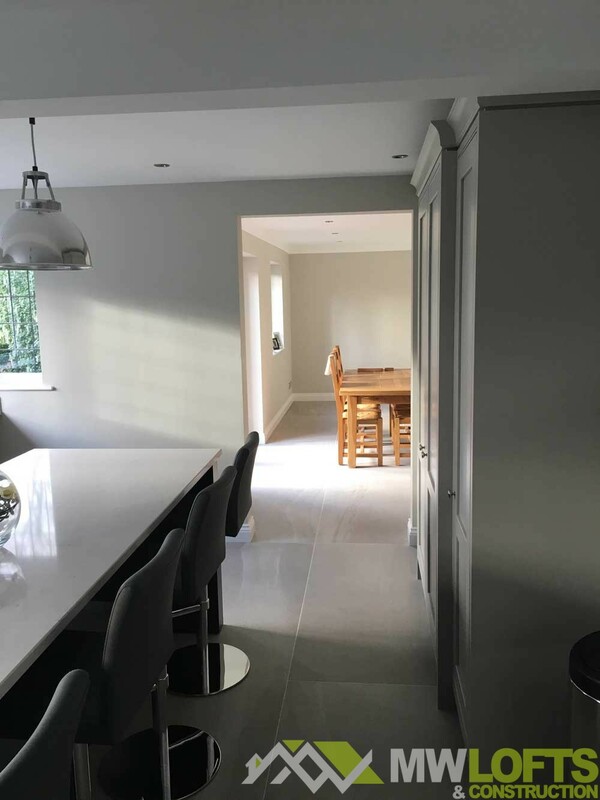 The job was to take down a load bearing wall and replace with a RSJ (steel beam) to open this kitchen/dining space into beautiful flowing room. 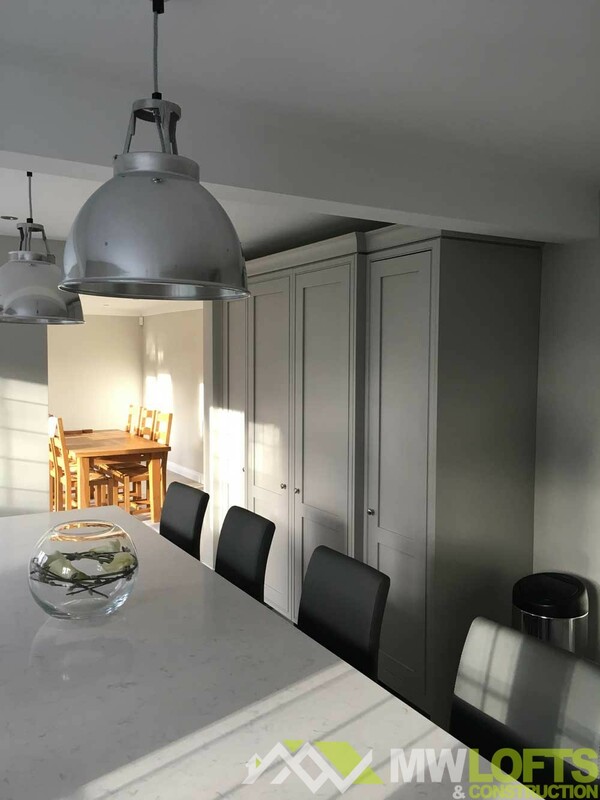 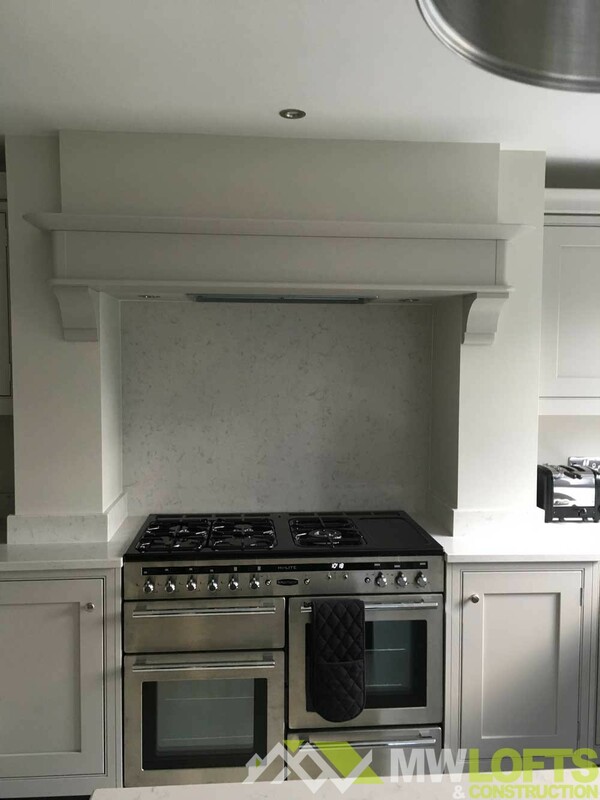 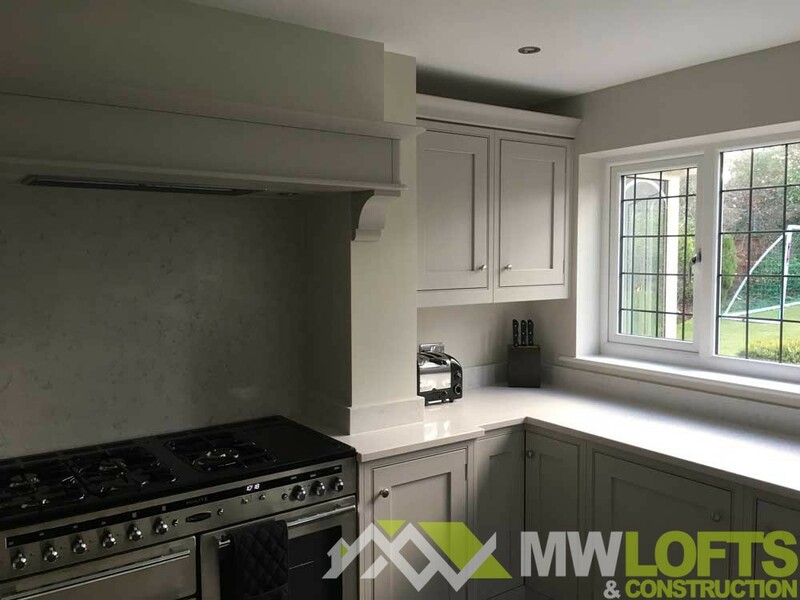 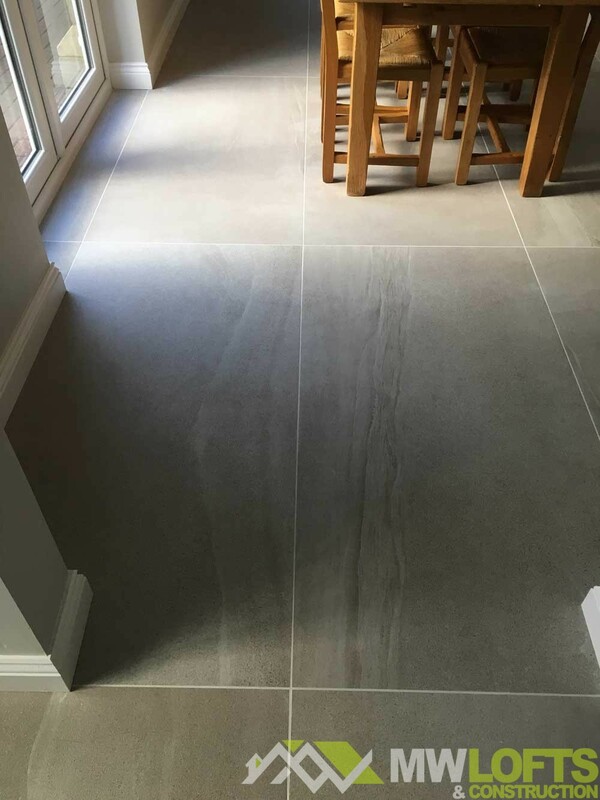 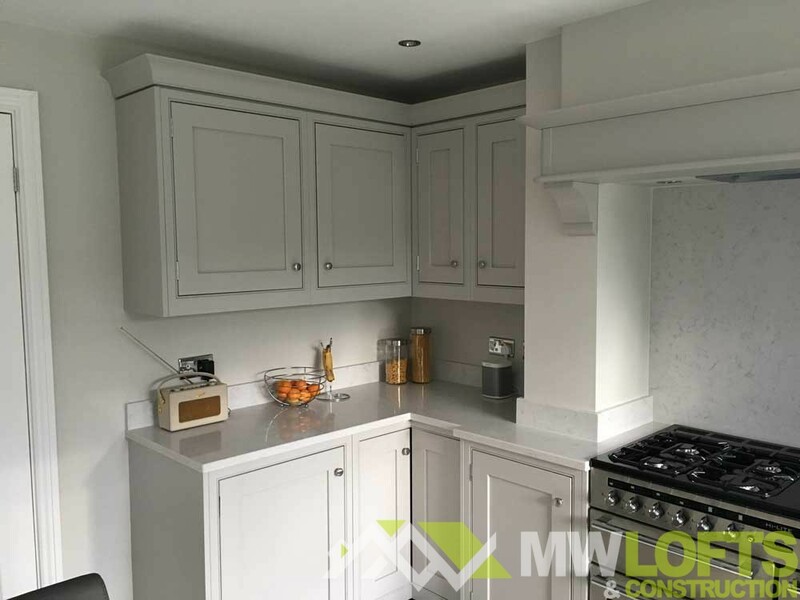 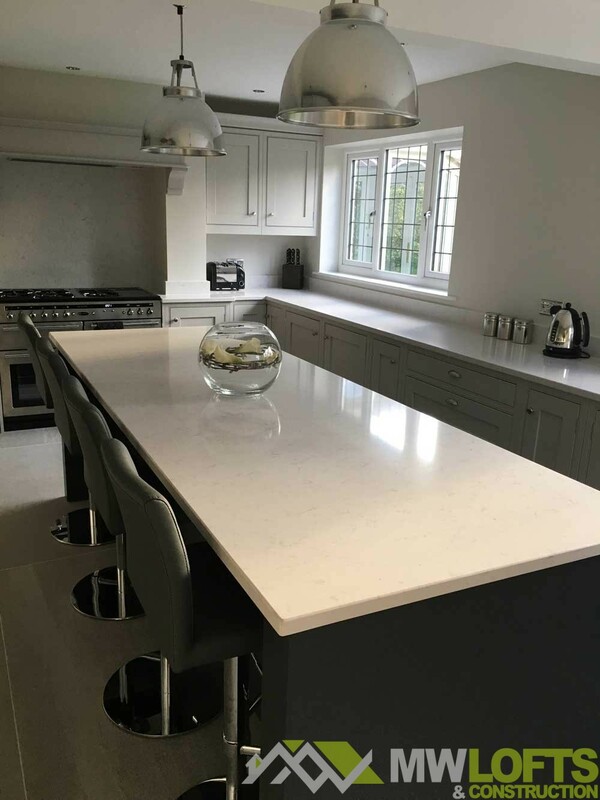 We installed a boiler fed underfloor heating system and tiled the full floor space before fitting a Ashley Ann kitchen and building a bespoke mantle for around the range oven. 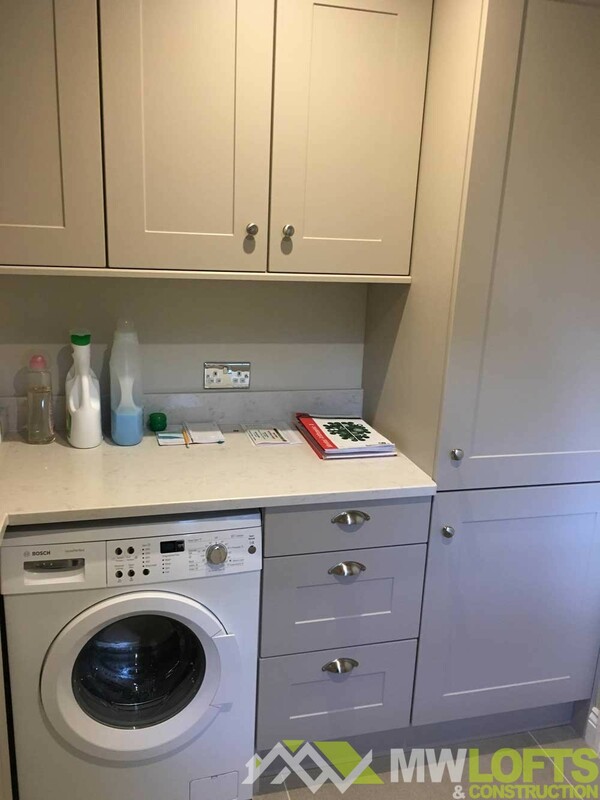 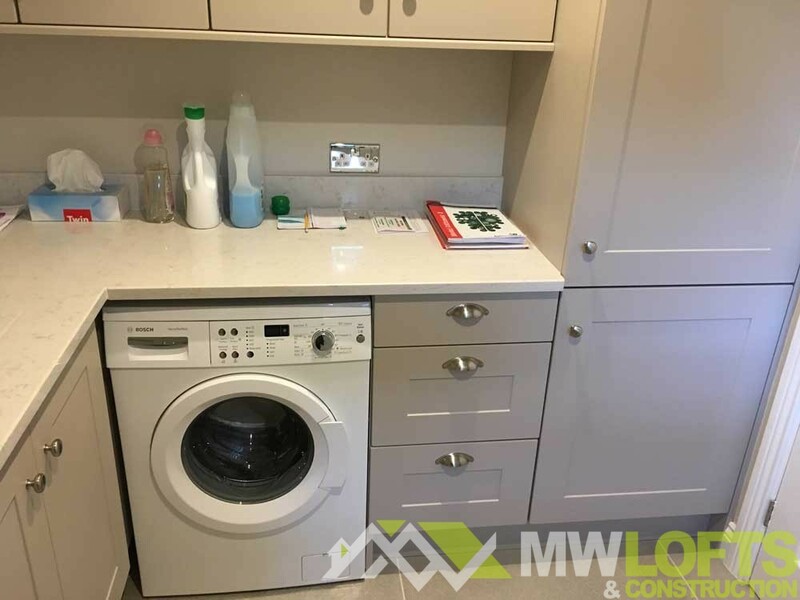 We also fitted out the utility room with new units.